Previously we explored the meaning of sage in Sage Abbey. Now, let’s talk about the abbey. So welcome, breathe in … exhale … and stay a while. 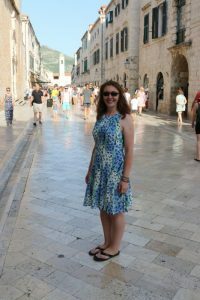 It was a scorching hot, humid, and easy going day as we walked between Stradun’s East (Ploče) and West (Pile) gates. We discussed the history of this magical city, explored the local vendors, people-watched and cooled ourselves off by drinking icy waters from both the small (Eastern) and the large (Western) Onofrio fountains. I looked over at Mae and saw that her skin (not used to the sun at this latitude) was incredibly sunburned and starting to blister up. Fast forward through the moments of freaking out, pain, and “what in a world do we do now?” to the moment when we entered a small pharmacy, just at the end of Stradun. The “Little brothers Pharmacy,” or Ljekarna Male braće in Croatian, is connected to the 14th century Franciscan Monastery of the Order of Friars Minor. It has been operating in Dubrovnik since 1317 making it one of the three oldest pharmacies in Europe. There, at the recommendation of the pharmacist, we bought the “salve against burns”. A yellow, grainy, botanical-based paste made according to an ancient, secret recipe and probably a bit of magic. At first, Mae was a bit apprehensive. Afterall, she grew up with the Western medicine, and all of this felt a tad like hocus pocus. However, the sunburn pain was intense, so she acquiesced. While waiting for the salve to be applied, out of the corner of my eye, I spotted the most beautiful botanical garden I’ve ever seen. 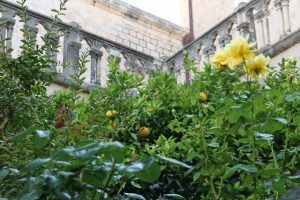 Belonging to the monastery, this garden certainly held the ancient secrets of healing botanicals, the same ones used to make the salve. The garden was small, cozy and quite divine, as the sunshine was dancing through it. It smelled heavenly from citrus fruits and aromatic botanicals that thrived there. And just like that, I felt at peace knowing the botanicals would heal the sunburned skin. I’ve always been mesmerized by nature and its healing powers, and I knew this was the moment of divine goodness I would remember forever. The salve did exactly what it promised to do. First, the pain lessened. Then, within a few hours, the blisters were gone. Finally, over the next day or so, the redness disappeared and Mae was left with only a tan. Almost thirty years later, as I was sharing this story (again) with my husband Brett and (for the first time) with our friend Corey, we captured all of the magic, the ancient wisdom, the healing, and the inner peace in the word “abbey”. And that’s how Sage Abbey was born. 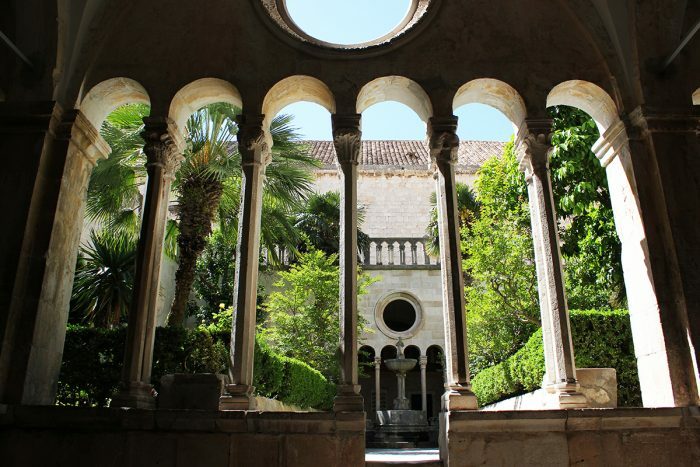 I return to the Franciscan Monastery every time I visit Croatia and the beautiful Adriatic coast. In my thoughts, I visit my Abbey more often, whenever I need a moment of peace. Whenever I need to feel magic. Whenever I need the inspiration for my work. When I need to know everything will be ok, just like it has been for over 700 years. And every time I need to breathe in … exhale … and stay a while.